Click a section below for more details about The Pineland Trails Running Festival! 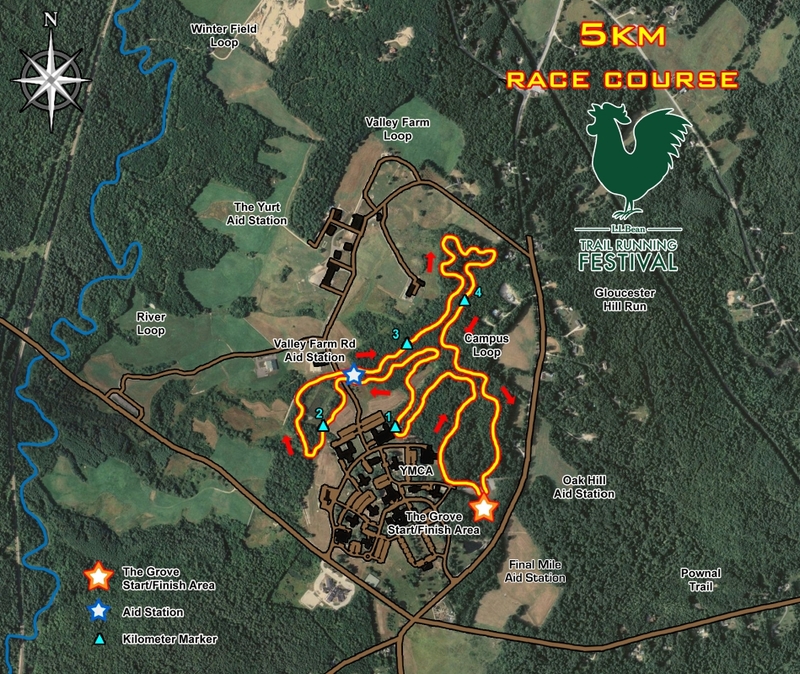 The race course is a 5 kilometer off-road roller coaster on well-maintained XC trails that twist, turn, and roll their way through forests and past pastoral, working farmland. The trails are level, wide (12′), and non-technical with no roots or rocks, but very hilly. Although there are no major climbs the rolling terrain is unrelenting. The surface of the trails is mainly grass and dirt sprinkled with pine needles, pine cones, twigs, and small stones. Trail running shoes are recommended but not necessary. Awards are given to the top 3 men and women and the top men and women in the following age groups: under 12, 13-16, 17-20, 21-29, 30-39, 41-49, 50-59, 60-69, 70+. 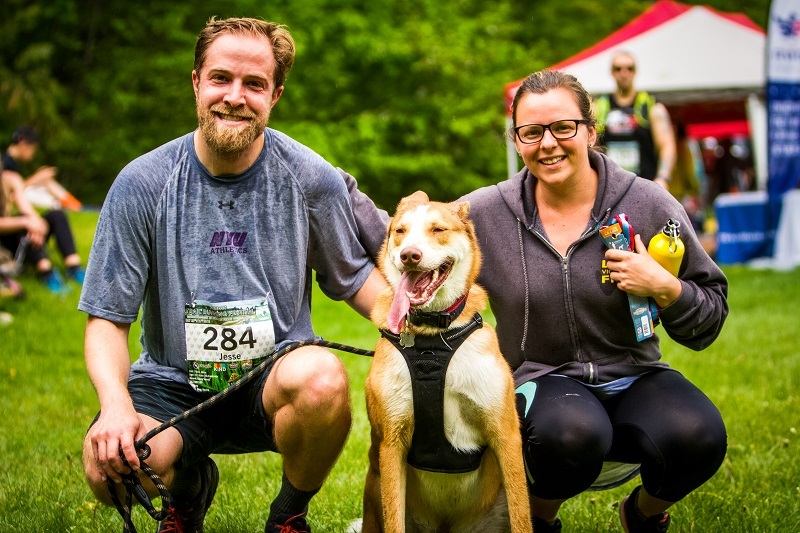 Following the same course as the standard 5K, this course is perfect for you and your canine companion! Traverse five kilometers of open trails with no roots or rocks to worry about! The Canicross will be divided into two waves based on weight, below 40lbs (18.2kg) and above 40lbs (18.2kg). Above 40lbs dogs will be starting in the wave before dogs below 40lbs. Awards are given to the top 3 men and women and the top men and women in the following age groups: under 19, 20-29, 30-39, 41-49, 50-59, 60-69, 70+. 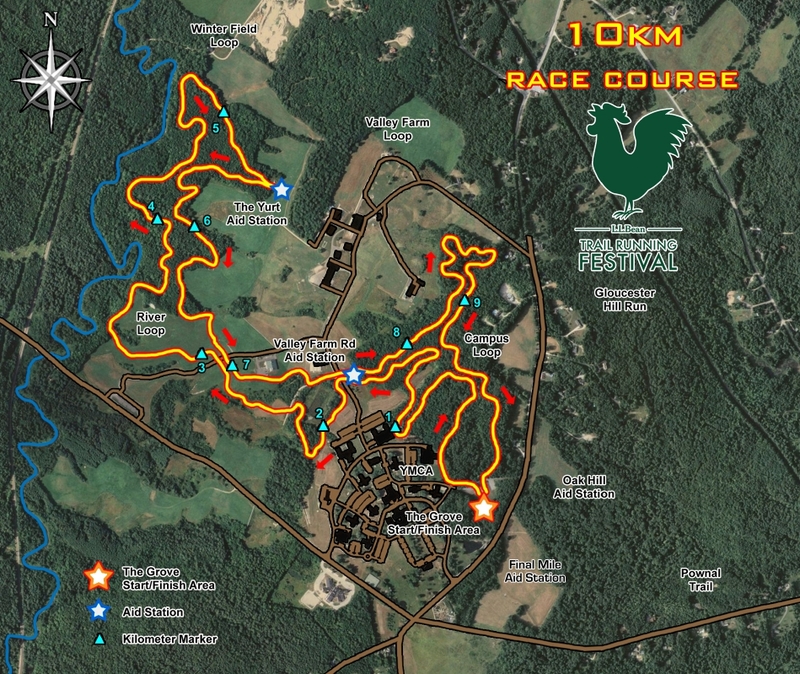 The race course is a 10 kilometer off-road roller coaster on well-maintained XC trails that twist, turn, and roll their way through forests and past pastoral, working farmland. The trails are level, wide (12′), and non-technical with no roots or rocks, but very hilly. Although there are no major climbs the rolling terrain is unrelenting. The surface of the trails is mainly grass and dirt sprinkled with pine needles, pine cones, twigs, and small stones. Trail running shoes are recommended but not necessary. This 1km course is perfect for kids of all ages! Kids five and older experience a flat and fun course that loops Campus Road, with flat and non-technical terrain to ensure your kids will finish injury-free! Race shirts are also included with each kids’ race entry! The top three overall male and female finishers will receive awards! 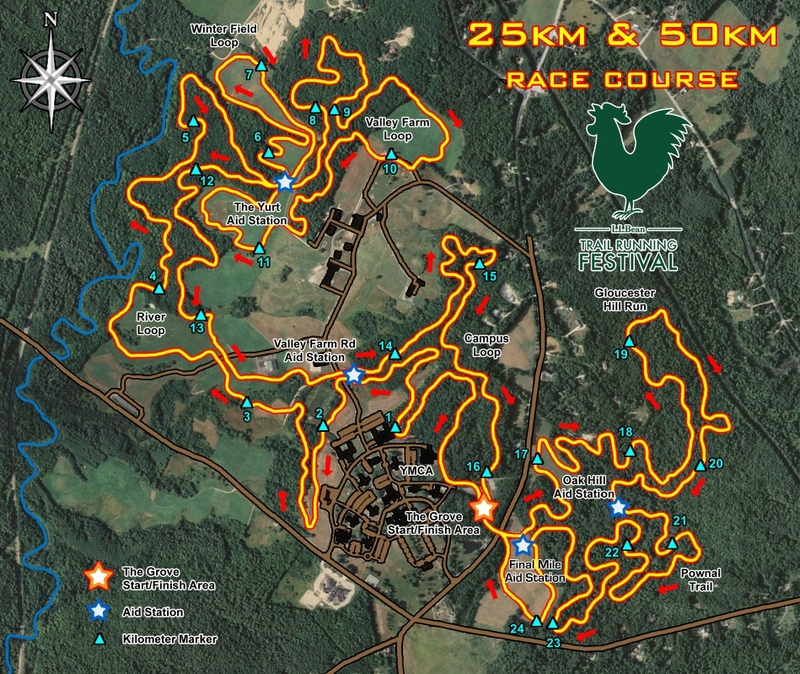 The 25 kilometer course is an off-road roller coaster on well-maintained XC trails that twist, turn, and roll their way through forests and across pastoral, working farmland. The trails are wide (12′), and non-technical with no roots or rocks, but very hilly and unrelenting. In addition to the trail system, runners will travel through open field around Pineland. The paths in the fields are often not level, tilting severely in all directions. Trail running shoes are not necessary, but they are recommended. 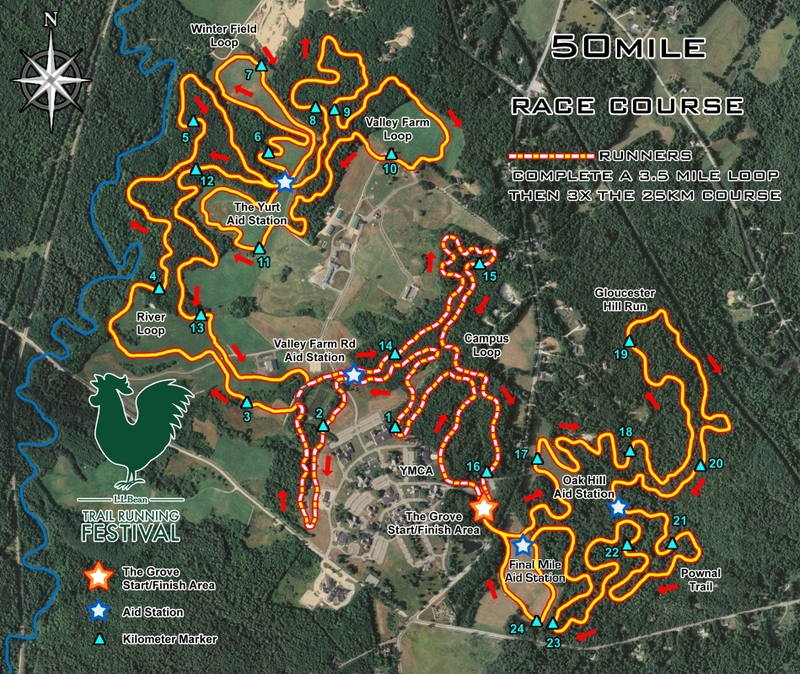 Traveling two loops of the 25K course, this 50K behemoth will test even the best of runners. 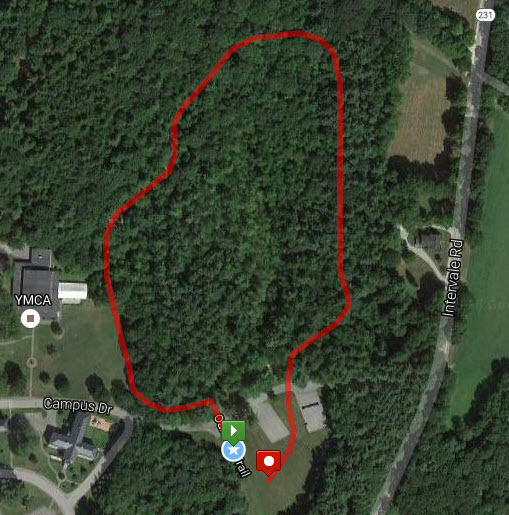 The course covers all of Pineland’s best trails in addition to picturesque farmland throughout your run! This course challenges runners to not one, not two, but THREE loops of the 25km course in addition to another 3.5 mile loop. What does that give you? 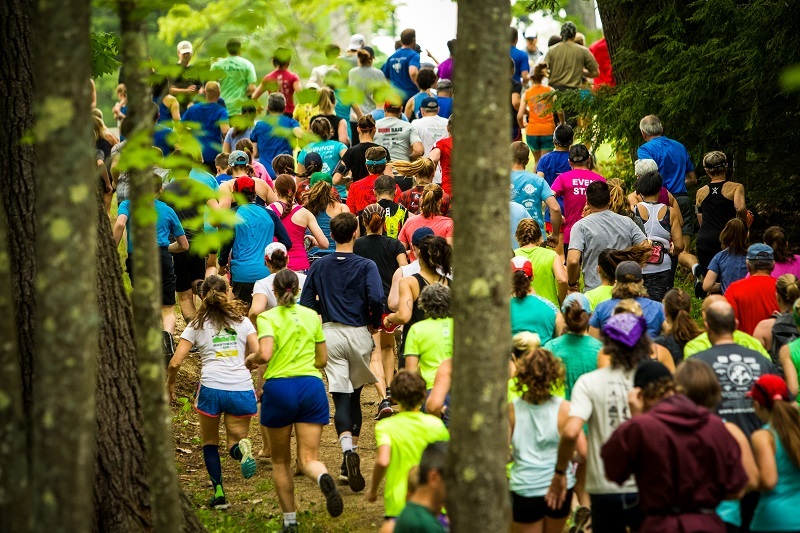 Over 80km of running through Maine’s best trails! This hilly course is not for the faint of heart! 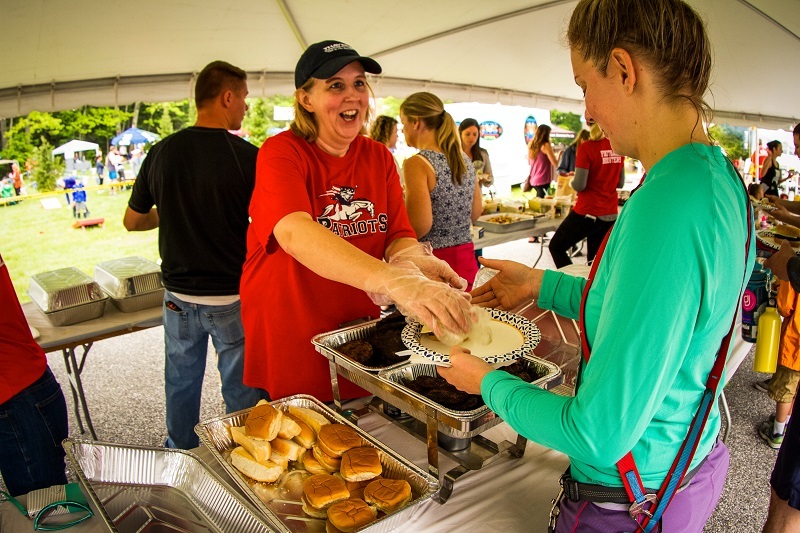 Packet pickup will be held at Pineland Farms on Friday, May 24th from 3 p.m. to 7 p.m., Saturday from 8:30 a.m. to 5 p.m., and Sunday starting at 5:00 a.m.
All races start and finish in front of Hotel Jay at Jay Peak Resort in Vermont, with the 5K’s and kids’ run on Saturday and the longer distances on Sunday. Jay Peak is being wicked generous and giving all registrants a discount on Stateside Hotel and Hotel Jay. How wicked of a deal is it? It also includes access to the Pump House water park! There’s nothing nicer than relaxing in a hot tub after a day of running, and the kids will have a blast at the rock wall, theater, arcade, and ice rink! Check your registration confirmation email for the special discount code, then click here to book your room! 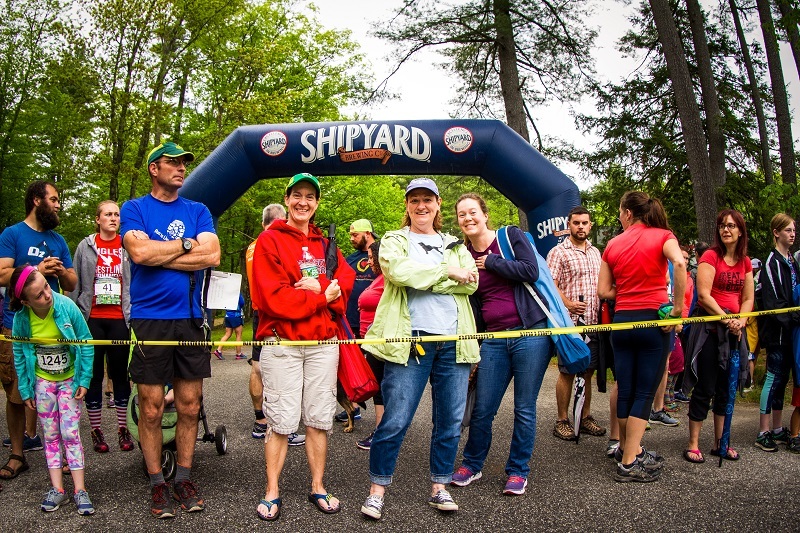 Reserve your spot today at Maine’s best trail running event!